Cracked gas chambers in the seabed south of Svalbard could blow out and create craters that are up to 30 metres deep, say scientists… Exactly as in Siberia recently! 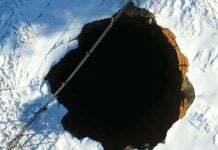 Now, scientists at the Centre for Arctic Gas Hydrates, Environment and Climate (CAGE) at UiT – The Arctic University of Norway, have collected new geophysical data on the craters in the area. The craters are what remain after a methane gas explosion. Or more correctly: gas blow-outs. Methane gas chambers formed under the seabed during the last ice age. Up until the end of the ice age they were capped by a kilometres-thick layer of ice. They have also been kept in place by frozen methane gas, known as gas hydrates. When the ice melted, the gas chambers collapsed one by one. The blow-outs may have occurred over a couple of days. 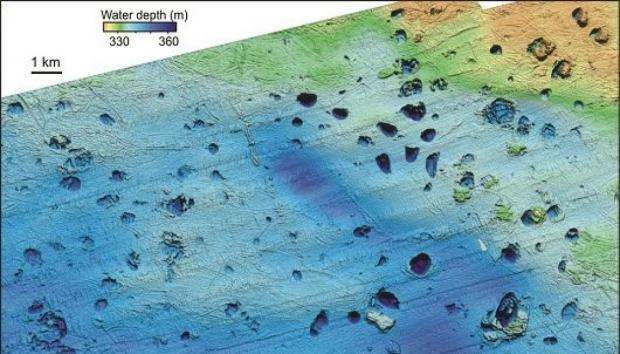 But these blow-outs must have involved enormous forces at the bottom of the Barents Sea, since the holes have been blasted out of solid bedrock. The researchers in Tromsø expect further blow-outs, as some gas chambers have not yet blown, and others are slowly building up pressure again. 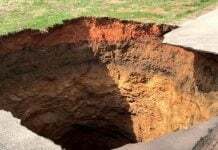 Only a few years ago, reindeer hunters on the Jamal peninsula in northernmost Siberia also discovered several mysterious giant holes in the ground. Russian scientists eventually determined that the cavities had been filled with methane gas and subsequently collapsed. Karin Andreassen, a professor at UiT, thinks the Russians were correct in their assessment. 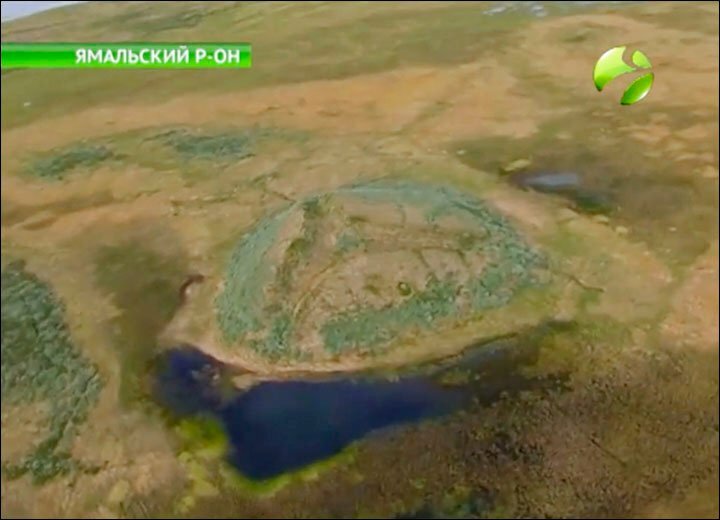 “Methane gas in Siberia is locked inside the permafrost. And there are frozen gas hydrates in the Barents Sea that ensure the gas is kept buried in the seabed,” she says. Otherwise, the process is more or less the same, she said. When the permafrost or gas hydrates thaw, the methane can be released explosively in a gas blow-out. Andreassen thinks there will be more large blow-outs in the ocean floor south of Svalbard, as the seabed becomes warmer and gas-hydrate reservoirs thaw. But she can’t promise that researchers will catch the actual blow-out. “The biggest blow-outs in the Barents Sea occurred when the ice melted, 12,000 to 15,000 years ago,” she said. Andreassen says there is probably even more methane gas locked in the seabed around Greenland and in the Arctic Ocean than is found in the Barents Sea. That could lead to some extremely large craters. Pingos are found in the arctic and are usually raised hills, like a giant pimple, with a core of ice. In this case, however, the pingos must have been filled with gas in the form of ice, bound up with water in gas hydrates and permafrost. 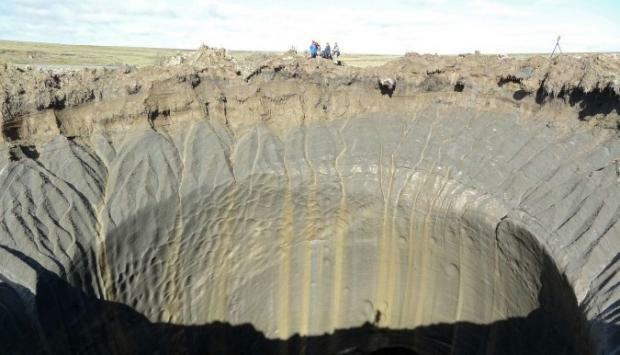 Russian scientists have now mapped 7,000 gas-filled pingos that are poking through the thawing permafrost, visible in satellite images that illustrate how the pingos form and grow. 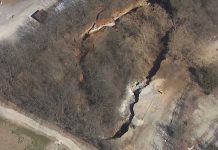 I tell you, we are going to be eaten by giant sinkholes!